– Group formation and development. – Weekly group meeting discussing health-nutrition, water-sanitation, rights, and other socioeconomic issues. – Training on primary health care and nutrition, group development, rights and leadership. – Linkage development between group members and GOB-NGOs service centers. – Group formation and developing self help group. – Group meeting discussing different socioeconomic issues including health-nutrition. – Training on health-nutrition, IGAs, rights, group development, leadership, gender & development etc. – Group meeting discussing fish culture technique and health-nutrition. The program has been implementing since 1982 in assistance of different international and national donors. Under the program more than 8000 children and 10000 adult male and female graduated. The children education was 1-year course and the adult education was 9 month’s course. Under the program there was follow up course for 6 months period. Once up on a time, after completion of 1 year’s course the children enrolled in the government primary school in assistance of Unnayan Sangha. – Reproductive health services including family planning, HIV/AIDS and adolescents health. – Child health services including immunization, growth monitoring, treatment etc. – Behavior change communication through mass/group/courtyard meeting, day observation, drama, folksong, rally, displaying posters and billboards. -Awareness building on water-sanitation through group meeting, training and workshop. – Hand tube well distribution. – Water sealed latrine production and distribution. – Ensure proper use of tube well and latrine. – Training on skill development on fish culture, cattle fattening, vegetable gardening, larva production and management, etc. – Collection list of children in jail from 7 Jails/District authorities. – Orient jail visitors (Official /non-Official). – Assist to send children from jail to Kishor Unnayan Kendra (KUK). It is mentioned that the activities depend on the community action plan. SHOUHARDO allays works based on the program participant’s needs. – Training on development of rural geochronology extensionist on community nutrition exensionist, livestock, fisheries, plant nursery, crop doctor, power tiller, bee culture, agriculture, goat breading, agro/food processing and entrepreneurship development. – Provide training on KABPA-Social mapping and micro planning, IMCI, Village Doctors development, Basic health workers course, Opinion Leaders development, Supervision and monitoring, ANC+PNC+ENC, reporting and Surveillance register maintaining. This is a USDA-Land O’ Lakes Inc. supported pilot project started from November’2010. The project is designed to feed 124000 students of 441 primary schools and madrasas in Bakshiganj, Jamalpur Sadar and Sarishabari upazilas under Jamalpur district. The project will continue up to October’2011. If it can achieve results successfully there is a possibility to continue with an extended period. The organization is basically working for monitoring of the project activities. – Development of training module/schedule. – Utilization of research output. – Distribution of food, baby food, matches, candles etc. – Distribution of cloths, soaps, oil etc. Note: Including above all, the organization implemented activities on HIV/AIDS focused on adolescents in 4 upazilas of Sherpur district for 1-year period in assistance of UNICEF Bangladesh during 2005-2006. Activities of the project were- training, workshop, meeting, classroom discussion and material development and use that for motivation. In 2008, Unnayan Sangha established a Training center with residential facilities in Jamalpur Pourasava area. It is named as Development Training and Resource Center (DTRC). It has capacity for 60 residential guests. 2 Hall rooms – one with capacity of 60 people and another is of 25 persons. Other facilities like dining, library, musical instruments, generator, multimedia projector, computer, OHP etc. are available at this venue. This venue is open for both US projects and other organizations. The organization has been practicing PRA since 1995 within its all project activities especially in health and family planning, SHOUHARDO Program, socio-economic development Program and Chars Livelihoods program. Normally the organization is practicing PRA through using different tools like- Transact Walk, Social mapping, Well Being Analysis, matrix ranking, spider diagram, van diagram, seasonal diagram, body mapping, FGD etc. All staffs of the organization are received training on PRA and they effectively use different tools for assessment. Unnayan Sangha designs and operates its all the development programs based on the demand of the rural people. The organization thinks that, people’s participation is very necessary for well implementation of any development program. For ensuring peoples participation in program designing and implementation, focus group discussions, PRA sessions, meetings, workshops and future search with the people are regularly arranged by the organization. In these processes, peoples from different classes and professions especially poor and women involve to share ideas. The govt. authority also participate different meetings and workshops arranged by the organization to share their valuable opinion. It is mentioned that, different committee, groups and teams like- health watch committees, union watch committees, GOB-NGO joint monitoring teams and female/male primary groups have been formed with an initiative of the organization. Through these processes, the organization gets various supports from stakeholders, which help to reach up to an expected level of development with various development activities of the organization. Unnayan Sangha has good partnership with different national and international organizations like UNICEF Bangladesh, CARE Bangladesh, Save the Children, Practical Action Bangladesh, CLP, Land O’ Lakes Inc., Chemonix-PRICE, NGO Forum, RIC, FIVDB, Naripokkho etc . It is mentioned that different development programs has been implementing successfully maintaining effective partnership with the above mentioned organizations. Unnayan Sangha has been implementing different development activities in Jamalpur and Sherpur District since 1980. In the way of long run in past years, the organization has gained a good relationship with the govt. administration, other NGOs and private organization also. Activities on health and family planning, fisheries, agriculture, livestock/poultry, child protection, environment, disaster risk reduction etc. are being implemented in assistance of GOB. Some of the activities are operating jointly with them. – District development coordination committee in Jamalpur and Sherpur. – District Health and family planning committee in Jamalpur and Sherpur. 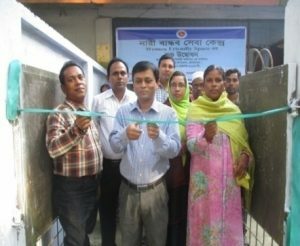 – District Family planning committee in Jamalpur and Sherpur. Including above committee’s meeting, project staffs attends different meeting at Union Parishad and other Social organizations program also. US is participating and helping in different national and local programs arranged by the government. It is also mentioned that the organization is continuing monitoring health, family planning, agriculture, fisheries, livestock and other program activities at field. Presently the organization is receiving fund from AusAid through UNICEF Bangladesh, DFID, USAID through CARE Bangladesh, USDA through Land O’ Lakes Inc., DANIDA and Manusher Jonno Foundation. Including above the previous donors were Shapla Neer, APHD Hong Kong, SCF-British Columbia through SAP-Bangladesh, Japan embassy, ICLARM, CORDAID-Netherlands, ActionAid Bangladesh etc. For better management of finance, the organization maintains donors and project wise Bank accounts. It keeps accounts in double entry accounting system. Receipt and payments, money transfer, expenditures, approval of expenditures, bill and vouching, stock maintain, procurement, supply, accounts checking, expenditure control, internal/annual external audit and reporting are properly and regularly continue according to the direction of financial guideline developed and approved by the executive committee of the organization. Development and survival of any institutions depends on skilled, experienced and committed staffs. So staff or personnel management is very much important for any of the organization. In considering the mater, Unnayan Sangha developed a personnel policy in 1986, which is modified in 1998, 2004, 2010, 2011 and 2012. For recruiting and developing staff, training, leave enjoyment, promotion and demotion, honorarium and other facilities, disciplinary action with other related issues maintain as per direction of personnel procedure. For improving capacity and sustainability of the organization, Unnayan Sangha arranges an evaluation by the external evaluator. On the other hand, it has prepared a strategic planning also for 5 years period to achieve the expected stage of the position in socio-economic development for the rural poor.